Analytics has become one of the major buzzwords in marketing. In case you didn’t know, analytics is the assessment and identification of relevant patterns in data. And while the analytics are used in many areas – from marketing and logistics to sales optimization and more – analytics is most commonly applies to website traffic. Without measurement, marketing becomes a guessing game. As a marketing and web design company in Cleveland, we often point out the fact that one is unable to assess the level of success (or failure) of a campaign without tracking results. By looking at the analytics, marketing experts are able to better develop and adapt an overall marketing strategy. We believe that a website should be the hub of any global marketing strategy. 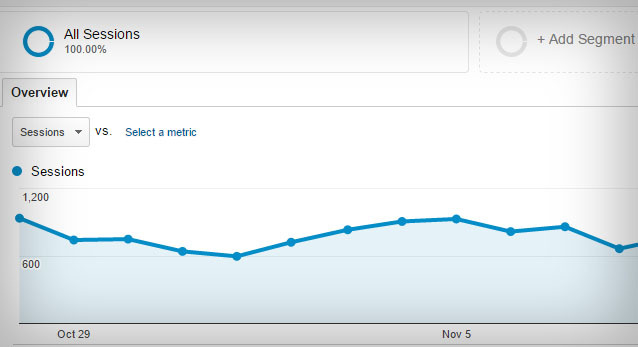 One of the first metrics we look at is total number of visits. 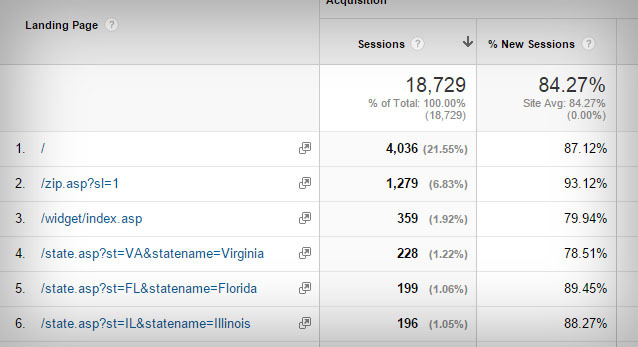 As part of analytics, we are able to look at more than just the total number of visits to a website, but also identify the success rate of particular CTAs (call to action) and keyword strategies. 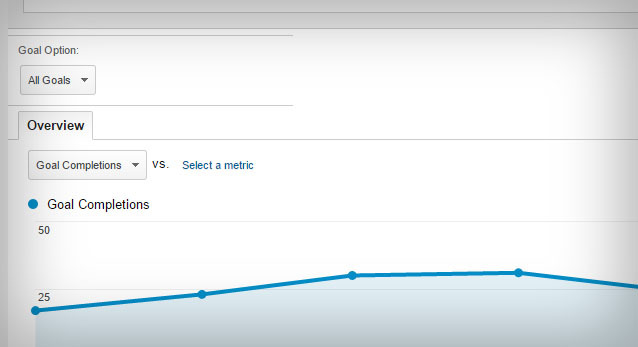 Of the total number of visits to your website, how many were returning visitors and how many were new? By looking at the percentage of new sessions we are able to determine if our website is attracting new visitors and whether our website offers enough value to warrant return visits. 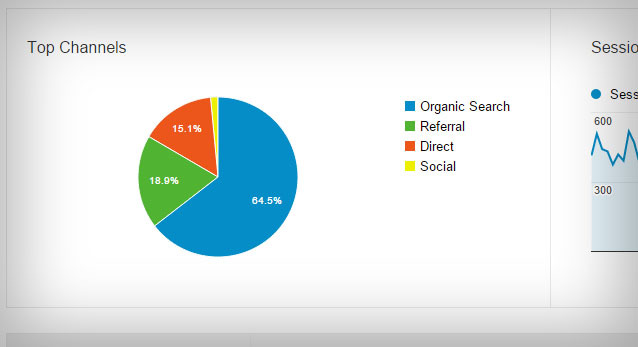 Direct, organic search, Referral, Email, paid search, other advertising, Social and Display. These groupings allow you to immediately segment your traffic source and identify specific patterns of behavior for each source. 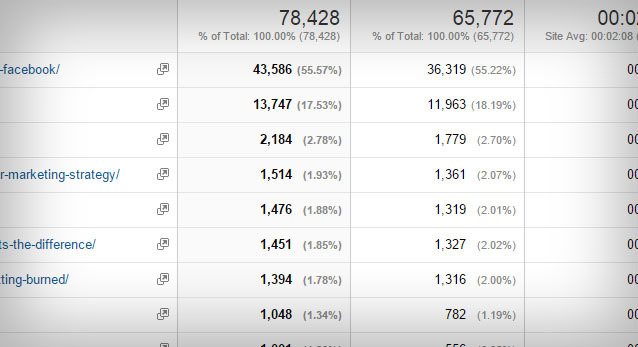 Bounce rate (reported as a %) is the percentage of single-page website visits. Simply, it tells us what % of our website visitors left after viewing only one page. Naturally, we want this number to be as low as possible. There are a number of factors which could contribute to a high bounce rate. 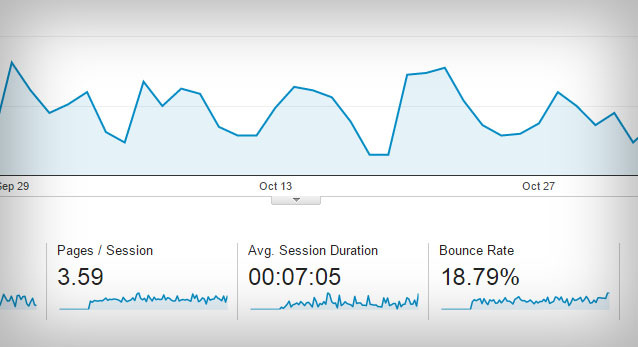 Generally, a high bounce rate could point to the lack of relevant content, usability issues, poor presentation, etc. It should be noted that “single-page” visitors doesn’t necessarily mean there’s something wrong with your website design and development. A visitor may have come to your site to find your phone number, address, etc. Once they had the information they needed, there was no need to visit another page. Many people think a conversion is a purchase. I had a visitor to my website and I converted them to a client. While that is certainly a form of conversion you should be measuring, there is so much more. Let’s think of conversion goals as business objectives. While the end-game may be to increase revenue, there are many other steps in the engagement cycle that can be tracked. A few examples are email subscriptions, contact form submissions, content downloads, engaging in a live chat, watching videos, etc. Engagement is often overlooked as an important component of analysis and understanding website visitor behavior. Engagement measures the amount of time visitors stay on your website, as well as how many pages they visit. The optimal amount of time visitors spend on your website varies with business objectives and the nature of the website. While an increase in the engagement metric can be the result of improved stickiness and valuable content; it may also identify patterns consistent with users not being able to quickly find the information they seek. Site content breaks down every page on your website and tracks total number of page views, unique page views, average time on page, entrances, bounce rate, % exit and (if you track revenue and goals) page value. 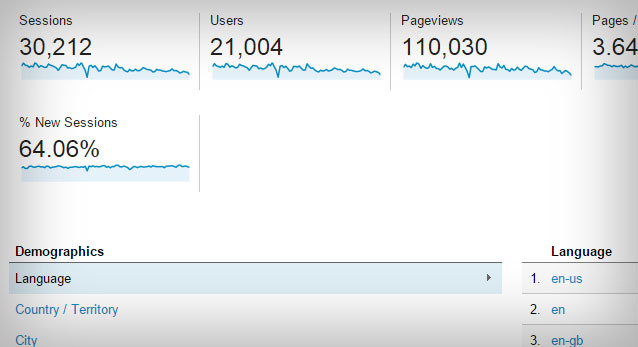 The Site Content report give a quick overview of the most popular pages and sections of a website. You can quickly identify whether users are getting to the pages you want them to and make marketing decisions based on the results. The growth in popularity of smart phone, tablet, and other mobile devices has been incredible. Back in 2013 we wrote an article titled Is your company’s website ready for 129.7 million mobile visitors? Most business owners looking to have a new website designed (or redesigned) often picture their visitors as sitting at a desk, browsing on a desktop. “Our clients are all business people, they don’t use their mobile devices for work.” Is that right? We regularly find that mobile visitors represent the highest % of total visitors to our clients’ websites. Since we want to make sure that all visitors have the optimal experience, we use responsive web design to develop all of sites. 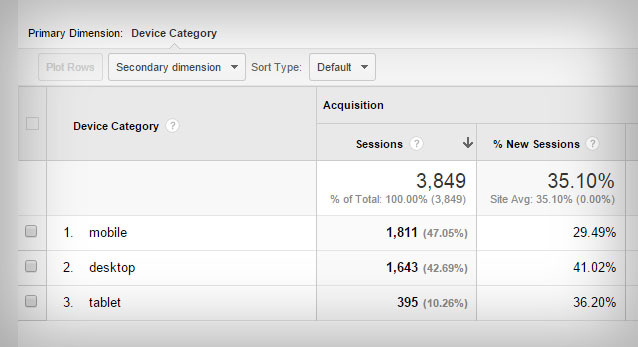 As discussed earlier, landing pages (entrances) appear on the Site Content section of Google Analytics. A landing page is the page through which a visitor entered your website. The highest rated landing pages could represent the areas of your website most relevant to visitors’ search engine queries. Additionally, custom landing pages may be created to help track the response to a specific marketing campaign. With so much to look at, exit pages are often overlooked. An exit page it the last page a visitor browses before leaving a website. A page might have a high exit % if the information on it is not deemed relevant or valuable. 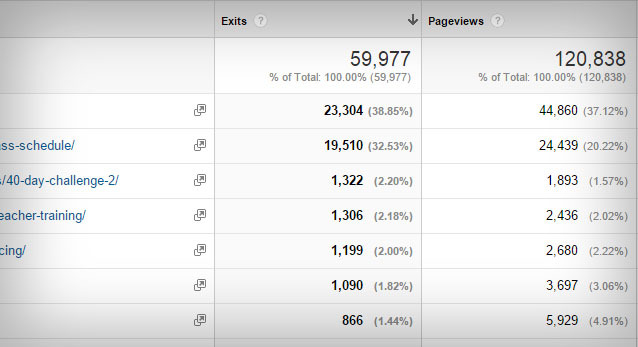 One should review pages with high exit % and identify the reason behind the visitor choosing to leave. We should note that some pages are expected to have higher exit rates based on where they fall in the desired visitor path. For example, the “thank you” page following a contact us form submission represents the end of the path, and therefore the visitor is often expected to leave after visiting this page. 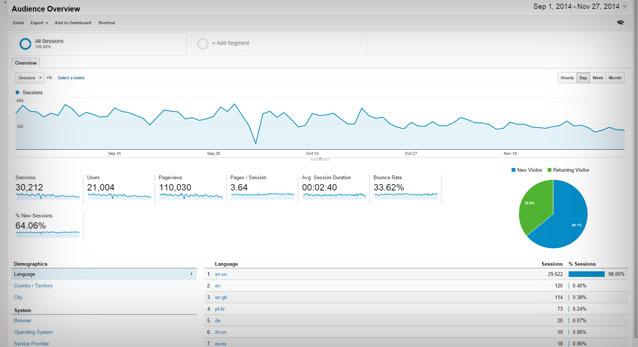 If you want to have a successful website, it is critical that you both measure and learn from these 10 website analytics. Your website analytics should begin to guide you in the process of fine-tuning your site for optimal performance. Additionally, each implemented strategy should be tracked and it’s results analyzed so that any future efforts take into account these newly learned lessons. 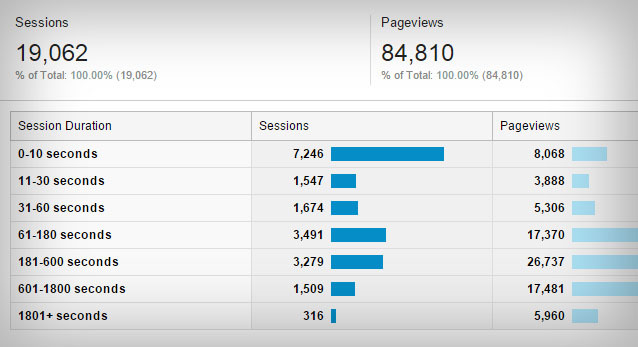 Do you have analytics set up for your website? Do you actually do anything with the information? What are some other metrics that you use to make informed decisions?